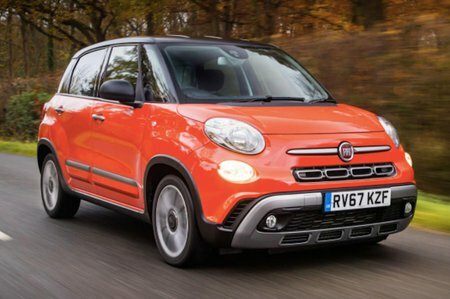 Fiat 500L Boot Space, Size, Seats | What Car? The 500L’s tall roofline does wonders front space. Two tall adults will have no problem getting comfortable because headroom, legroom and shoulder room are all very good. The front doors open very wide for great access, too. Two sizable cupholders sit just in front of the gear lever, which can make them hard to access, but each front door has a pocket big enough to accept a 1.0-litre bottle and more. The glovebox is also a decent size, but a front arm rest is optional. Be aware that going for the optional espresso machine add on will remove what space is provide in the centre console, because this is where the coffee machine must be inserted and powered. Like the front, the rear of the 500L’s cabin is generously proportioned for tall adults. Even those over six foot will have space above their heads, room for their knees and won’t feel claustrophobic around the shoulders in the outside seats. Well, if you don’t pick the new 1.5 square metre glass sunroof, that is. With the panoramic roof fitted (standard fit on Lounge models) rear headroom is severely restricted. Even shorter adults will be forced to lean forwards or slouch in their seats on longer journeys thanks to the low-slung roof. Put three adults side-by-side and you have a rather tiresome environment. Each rear door has its own pocket, although they aren’t as generous as the front ones. For relatively little extra, you can add storage nets and a tray table to the backrests of the fronts seats, and an arm rest built in to the backrest of the rear middle seat. The middle passenger doesn’t have to straddle much of a raise in the floor, which is a plus. 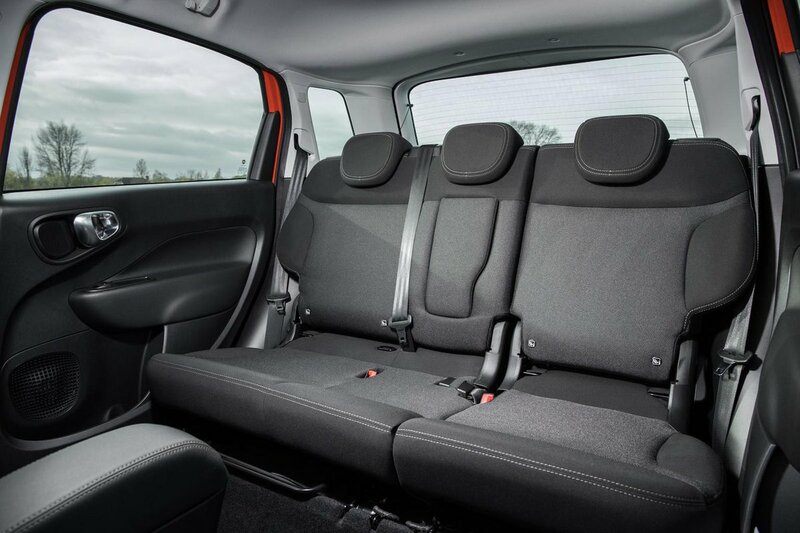 No 500L gets front passenger seat-height adjustment as standard, and it can only be added as an option on Lounge trim. Lumbar adjustment on the front passenger seat is also optional. That said, the adjustment is generous, and the seat is set at about the right height for most anyway. The rear seats split in a 60/40 configuration and fold flat, but can also be moved forward and back to allow more boot space or leg room for the rear passengers. Even better, they can be folded and then tumbled forward up against the front seats to provide as much boot space as possible. The front passenger seat can also be folded flat to allow long items to be pushed right through to the dash from the boot. 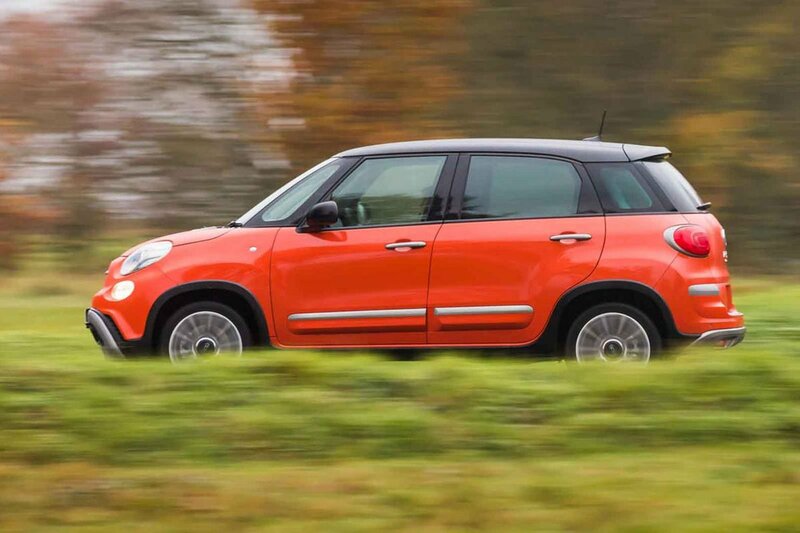 At 400 litres, the 500L’s boot is a competitive size. As standard, its floor can be adjusted to three heights. This means there’s no loading lip, but also that when the rear seats are folded flat, that there’s a completely flat surface all the way through to the front seatbacks. The boot is practical, too. There’s very good access thanks to a large square opening, and there are nice little touches such as pop out bag hooks and cubbyholes on either side of the boot to make things more secure on the move.